The MultiConnect OCG open communications gateways comprise an open Linux development environment and a fully certified hardware offering that includes multiple interfaces (serial, USB, Ethernet and SD card) and internal peripherals (including a cellular modem and a GPS receiver) in one application-ready end user solution. Applications that require device networking capability can now reside directly on select Multi-Tech gateways. 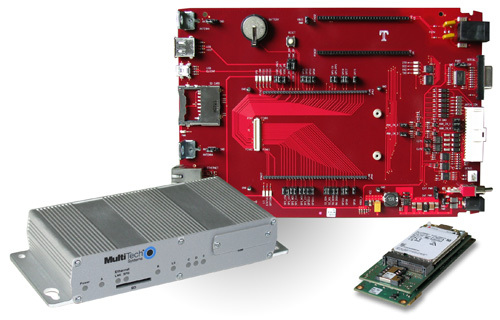 By bringing together a cellular hardware development kit and Multi-Tech’s CoreCDP, a distribution version of the Linux operating system and complete Linux build environment, you can create custom applications in a very short period of time. The MultiConnect OCG provides a flexible, quick and cost-effective way to bring your solution to market. purchase cellular connectivity in minutes—and have a fully functional solution within a day.